says Grammy Award Winner Andy Wallace (Nirvana, Rage Against The Machine, A Perfect Circle, Linkin Park). The band was honored when Wallace mixed the single “Fifty Dollars” from their debut CD, “Shock The Conscious Mass” The track has played on radio throughout the US. 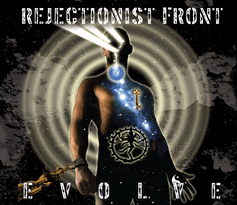 A dynamic sound and unique vocal merge with Rejectionist Front’s new critically acclaimed CD, “Evolve” that focuses on conflict both within ourselves and throughout society as we struggle for positive change. 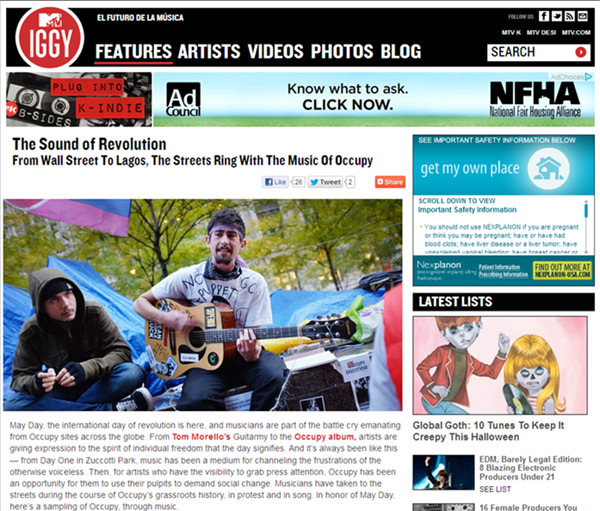 The CD includes the MTV track “Flush” selected as part of “The Top Ten Sounds Of The Revolution” and the song “Reclaim” that is part of the benefit compilation along with many socially conscious artists including Willie Nelson, Crosby and Nash, Jackson Browne, Patti Smith, Warren Haynes, Third Eye Blind, Our Lady Peace, Anti- Flag, and MGMT. The band’s music plays on radio throughout the US and Europe as well as on television scores around the globe. In the best spirit of socially conscious music, the band rejects the status quo and seeks constructive change as their worldwide performances combine music with activism. This New York based group consists of founder Michael Perlman, Lincoln Prout, David Dawson and Tony Tino. George Clinton & P-Funk, Joan Baez, Talib Kweli, Immortal Technique, Redman, Tom Morello and the Nappy Roots. 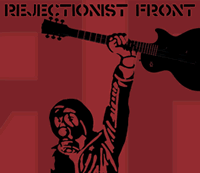 Rejectionist Front is proud to play in support of vital causes including Rock The Vote, Save Darfur, Wounded Warrior, Concert For Tibet, the USO, Rock Against Dystrophy and Occupy Wall Street.